A second year of at-home learning! 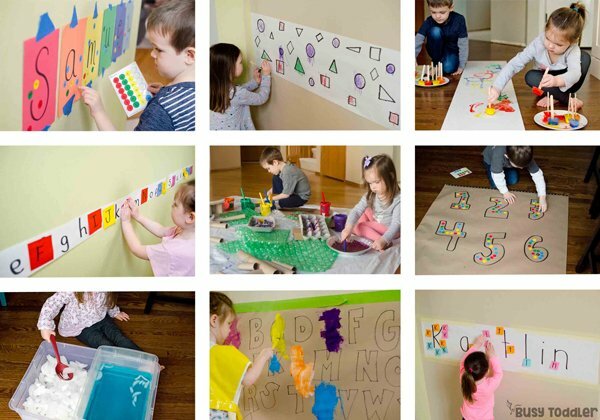 Ready to start on another school year of Playing Preschool? 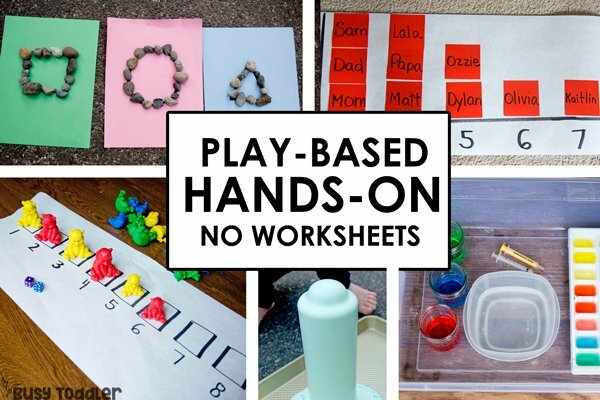 Here’s Playing Preschool Year 2: continuing the hands-on, play-based learning from the previous year. 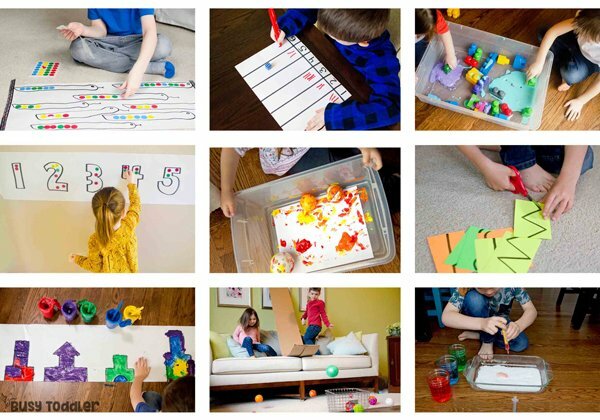 Playing Preschool Year 2 builds off the foundation created in Year 1 and expands your child’s thinking even more. 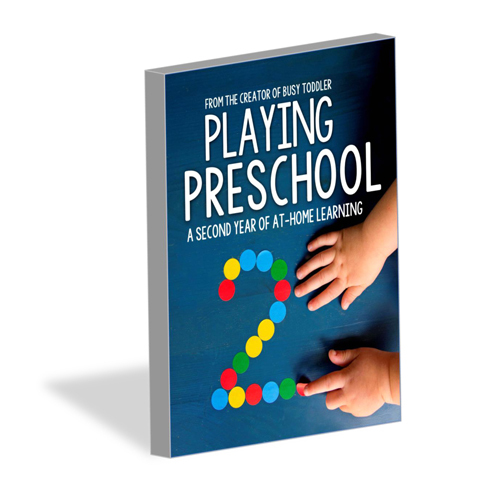 The listing is for Playing Preschool Year 2: 300+ pages, all 19 thematic units, and the must-have Introduction & School Readiness Guide. This is a downloadable product. You will receive a .pdf file at checkout. Non-refundable. Playing Preschool Year 2 is protected under copyright © 2018 Busy Toddler LLC. QUESTIONS? Please email susie@busytoddler.com. Welcome to Playing Preschool Year 2! Are you ready for a second year of learning? Playing Preschool Year 2 is designed for use after Playing Preschool Year 1. Think of the programs like a college course: you take Biology 101 and then Biology 201. The Year 2 program assumes the parent and child have completed the full Playing Preschool Year 1 course. Do not skip Year 1. 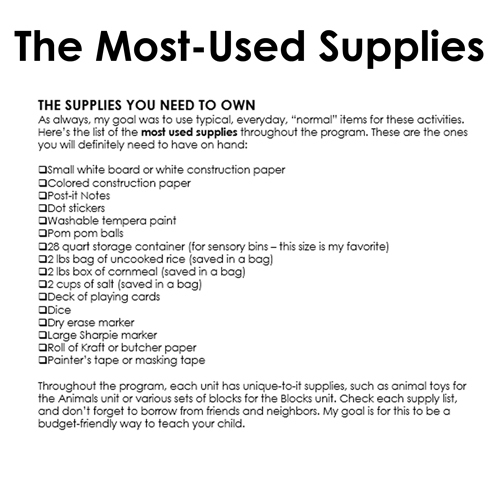 The second year of at-home learning starts right where we ended Playing Preschool Year 1. Just like Year 1, the skills in Year 2 continue to grow and build, spiral and increase. The learning in Year 2 is amazing. Playing Preschool Year 2 is again a 190-day program, broken apart into 19 thematic units. The structure and outline of the program are the same as Year 1, so you already know how to teach these lessons. But these aren’t just any lessons, because these aren’t just any topics. 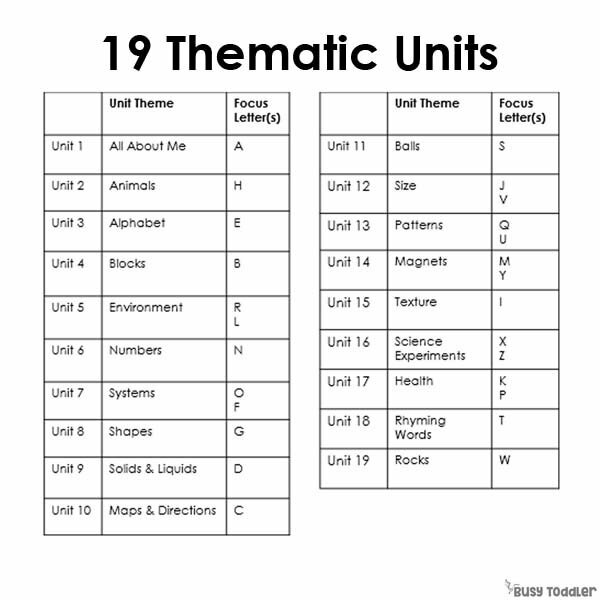 These topics are designed to broaden your child’s horizons, to open them up to concepts they may not have considered yet. As we head our children down the path of learning, our job is to introduce them to as much as we can. It’s all about exposure. Playing Preschool Year 2 will expose your child to so much! In Playing Preschool Year 2, the topics and units are unique from other programs. 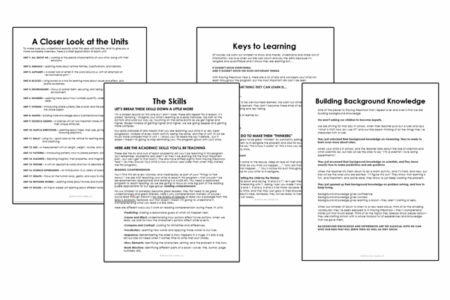 The topic list is vibrant – your child’s background knowledge on different subjects will build and grow over the next school year. Can you even image how much knowledge your child will have going into school someday? Think how confident they will be in class because of the incredible learning foundation we have given them! 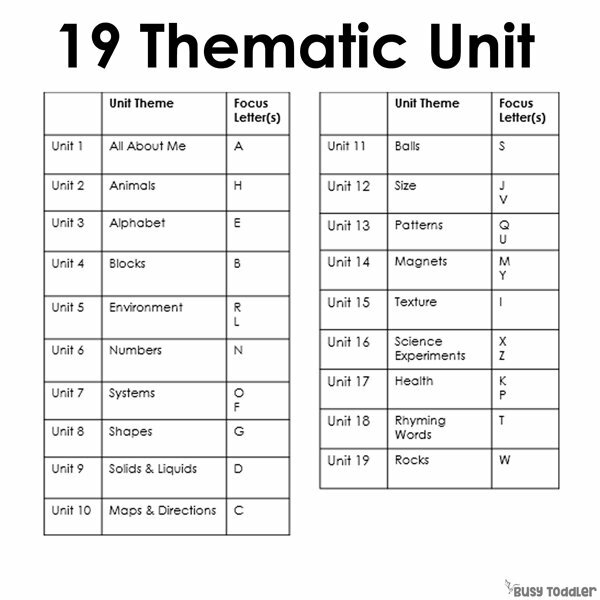 These units support so many key skills for our children to develop as they inch ever-closer to their school days. Just like in Year 1, Playing Preschool Year 2 has a very clear scope and sequence. The program builds and the complexity of lessons grows as your child develops. You’ll notice right away that Playing Preschool Year 2 starts where Year 1 finished. We keep building on the foundation we gave them in Year 1. I hear you and that’s great! Alphabet knowledge continues to grow through elementary school and number sense skills develop throughout their life (high school algebra is still using number sense!). What we are working on in both Playing Preschool Years 1 & 2 is moving beyond memorizing. We want them to understand letters as a building block and tool for reading. To see letters in the world around them and to form a base for when they are ready to read. We want our kids to really know their letters. With numbers, it’s so much more than counting. It’s understanding value, joining numbers together, comparing numbers, and recognizing numbers in various arrangements. We dig deep with numbers in Playing Preschool Year 2. Remember: repetition and practice are a good thing. It’s important. LeBron James still goes to practice each day and takes simple shots. These skills are not all they’ll learn! Our goal is to teach the “whole child” not just part of them. We also want to honor the many different ways children learn by offering multiple ways to interact and play with a topic. The more ways a child can manipulate and work with a concept, the better. But that’s not our only goal. Of course, we want our children to know and master, understand and share lots of information. We love when our kids can count and say the ABCs because it’s tangible and quantifiable and it shows they are learning BUT…. AND IT DOESN’T SHOW THE MOST IMPORTANT THINGS. We want curious children, children who love learning, children who wonder, and question, and above all else: children who think. We want our children to be well-rounded learners. We want our children to be engaged and excited learners. They don’t become these kinds of learners by sitting and listening, memorizing and test taking. Playing Preschool Year 2 gives your child a chance to think – that’s why I made it so open-ended and it’s why I didn’t use any worksheets. 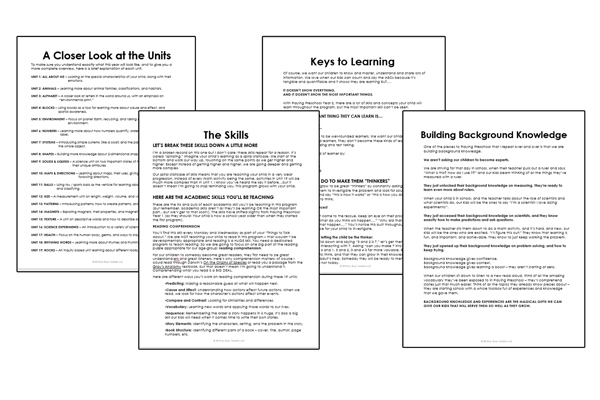 Worksheets are often one-dimensional, and we are not raising one-dimensional kids. We want our kids to explore topics. We want our kids to engage with topics in a hands-on way. We want our kids to discover, to take risks, to make predictions, to test theories, to learn by doing. And we do that with Playing Preschool in a fun, easy, play-based way. 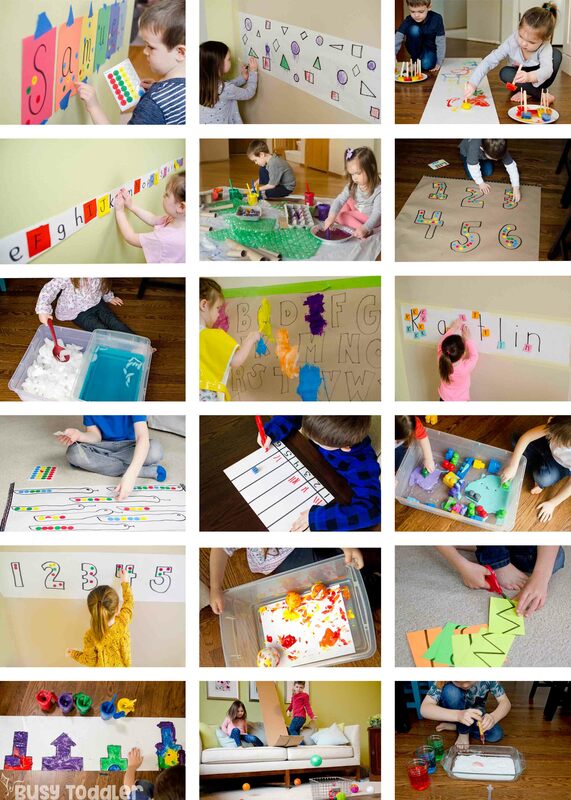 No time-consuming lessons – just like Year 1, Playing Preschool Year 2 only takes about 45 minutes per day. These are my thoughts on teaching the “whole child” and getting our kids ready for a lifetime of learning, with information on building background knowledge, why Playing Preschool doesn’t teach to mastery, and key pieces of learning. The “School Readiness” section particularly focuses on what children need to know before entering a classroom (and hint: none of the skills are academic). I am so excited for you to begin Playing Preschool Year 2. You remember all the fun from Year 1…let’s get ready for a repeat performance. Looking for more information on Playing Preschool? 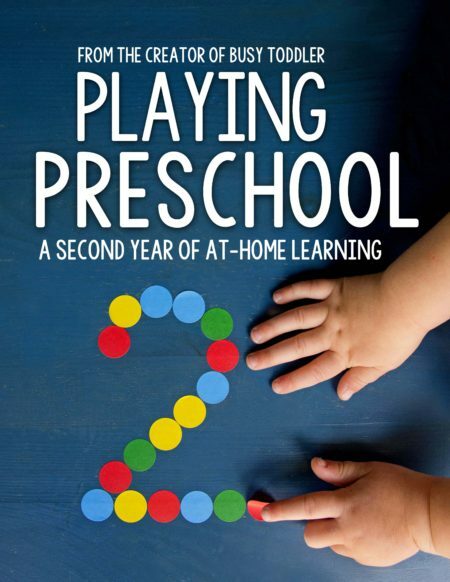 Check out this post on Playing Preschool or email susie@busytoddler.com.